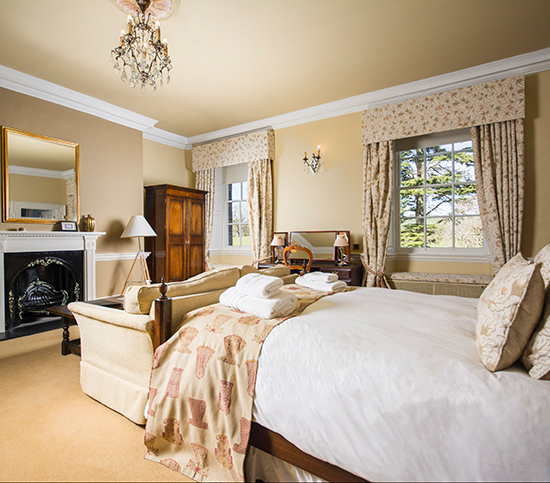 Our modest number of rooms is a deliberate choice; you’ll find eight of them in the main manor house, beautifully decorated with all the modern touches you could need. 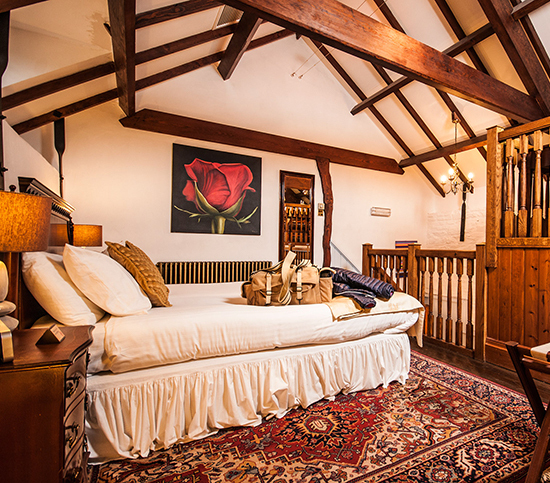 The remaining four rooms can be found in The Stables, converted loft spaces that are perfect for families and dogs and a real treat to return to after a day spent exploring Pen y Fan and surrounding Brecon Beacons. By offering just twelve rooms, we’ve ensured that you won’t find a bad view in any – as you will see below, Good, Better and Best showcase how individual each bedroom truly is, each offering their own view, our grading based on size. The impressive countryside is waiting to be explored, and our Brecon accommodation makes for the ideal base. 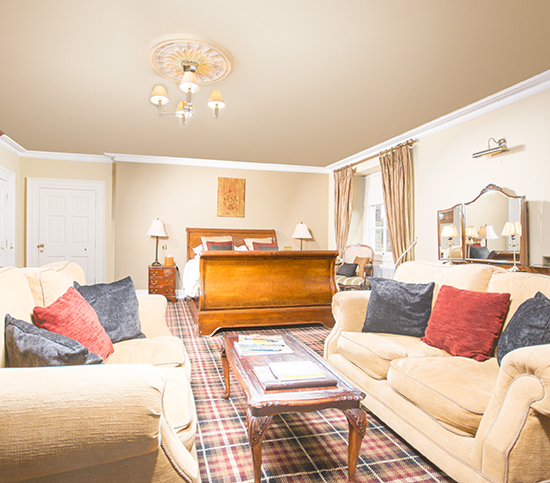 All rooms have fabulously comfy beds, flat screen TV's, DVD players, tea/coffee-makers with homemade cookies delivered daily. 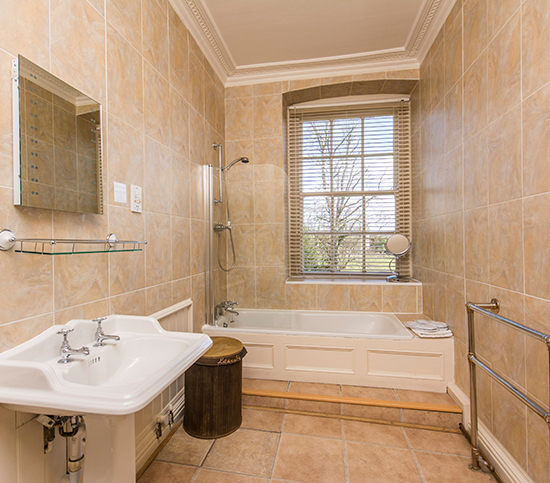 Robes and slippers can be found in your wardrobe, gorgeous Myddfai toiletries await in the bathroom. As a resident, full use of the Spa facilities are available, treatments excluded. Thanks to all this, Peterstone Court really is one of the most welcoming places to stay in Brecon. 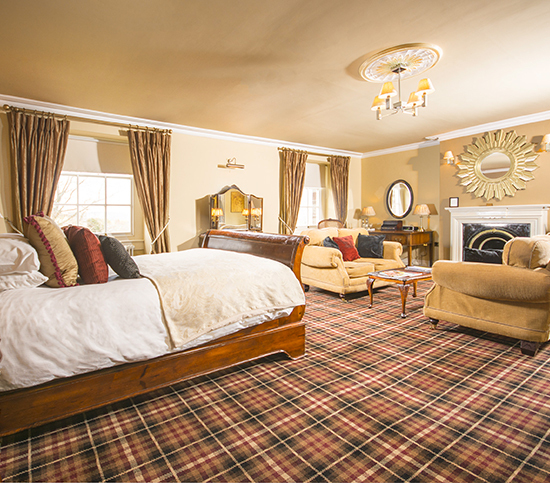 You’ve seen the pictures, you’ve read the reviews and we’ve told you as much as possible in the hopes that you will fall in love with our bedrooms as much as we have. All that’s left for you to do is to book. 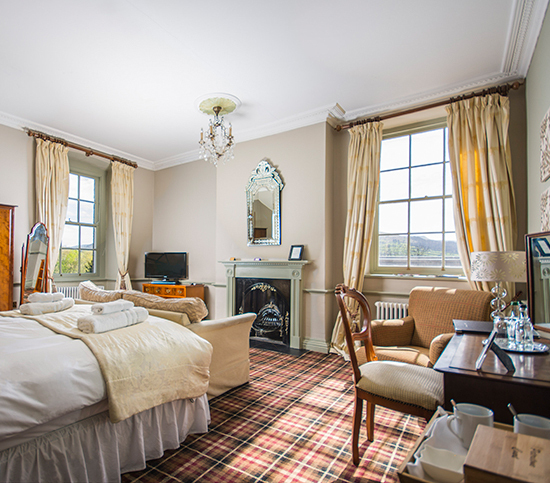 To book a stay and to experience our Brecon accommodation for yourself, click here for the best rates. 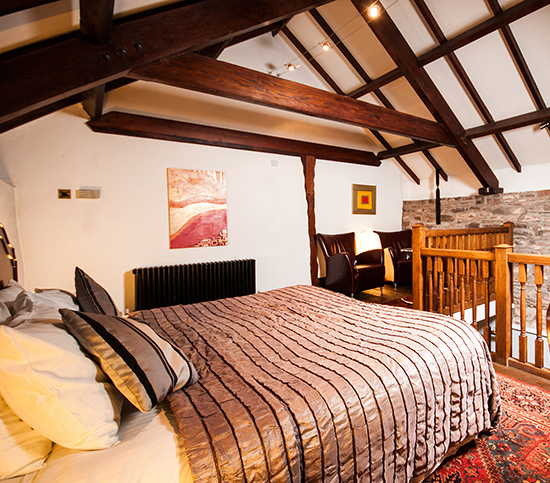 Our Master Suite is the only room with views over the Brecon Beacons & River Usk. 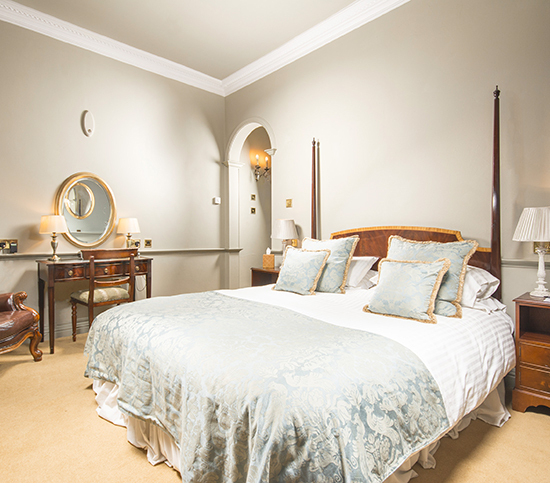 This super spacious room has a king size bed, seating area & a large bathroom. Individually designed, with a touch of colour and stylish contemporary decor, the sumptuous bed is adorned with the finest linen and the softest pillows for maximum comfort. 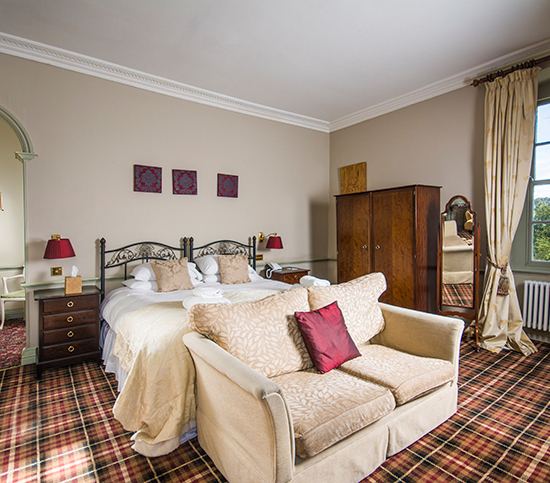 Each room has a flat screen HD TV, DVD player, Ipod player & DAB Radio, complimentary toiletries, bottled water, tea/coffee facilities and our homemade biscuits. 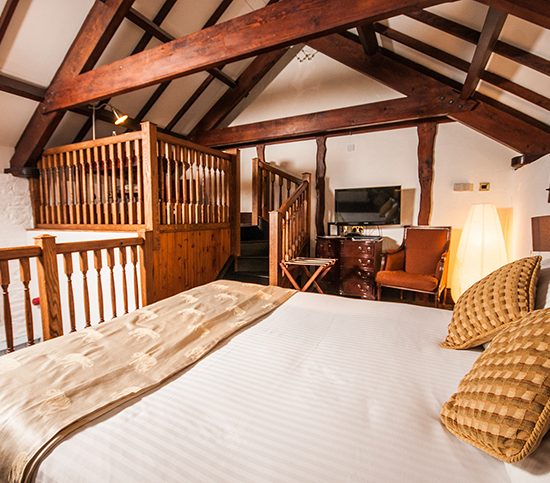 Our Best Rooms with Mountain Views are more spacious and roomy than our Good Rooms and most have marvellous views. 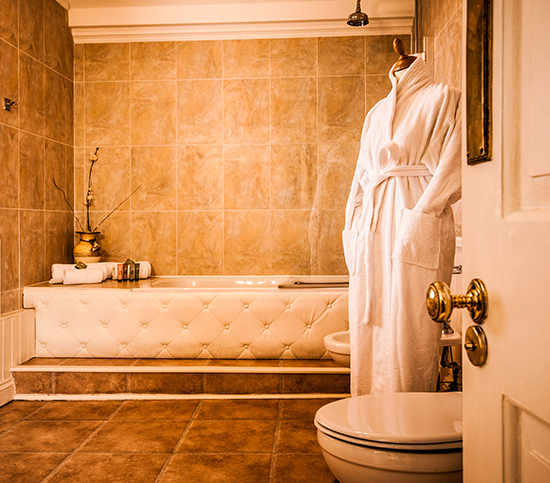 They are individually designed with large bathrooms, sumptuous decor and promise comfort and style. Our luxurious beds are adorned with the finest linen and softest pillows. 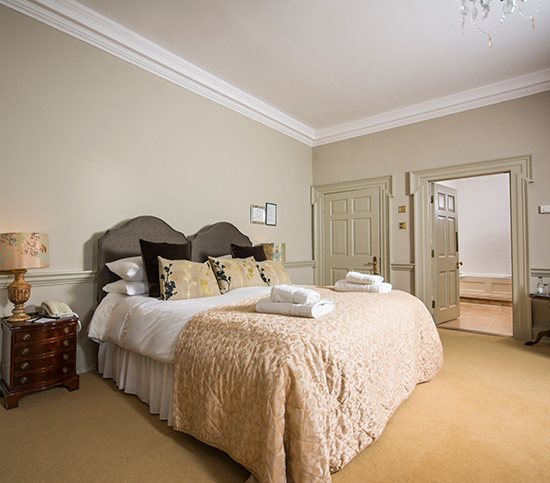 Each room has flat screen TV, DVD player, complimentary toiletries, bottled water, tea/coffee facilities and our homemade shortbread biscuits. 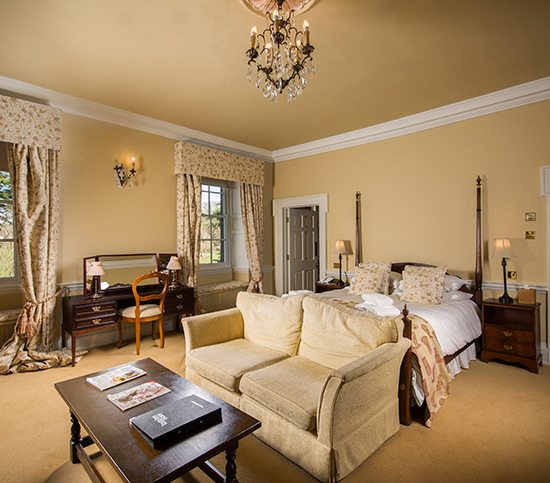 Our Deluxe Rooms are more spacious and roomy than our Good Rooms and most have marvellous views. 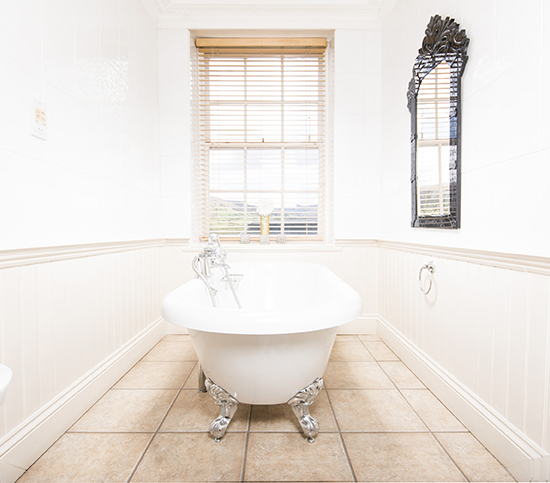 They are individually designed with large bathrooms, sumptuous decor and promise comfort and style.